"Robinson is like the Nora Ephron of the selfie generation." 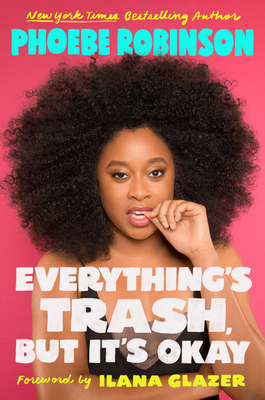 "2 Dope Queens cohost and true badass Phoebe Robinson finds the funny in societal chaos in Everything's Trash, But It's Okay." "Robinson spins stories that are laugh-out-loud funny yet carry an unmistakable undertone of seriousness regarding sexism and race relations.... [Her] side-splitting memoir will both entertain and empower her readers." "Phoebe Robinson's particular set of skills as a humorist is on full display in her second book. Educate yourself." "The Dope Queen takes on tough subjects--getting personal and political." "As in her first book, Robinson maintains a baseline of free-associating, footnoting, list-making hilarity, which both disarms and readies readers for the tougher truths she tackles."